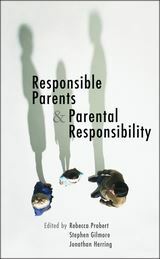 This important edited collection is the culmination of research undertaken by the Children's Rights Judgments Project. This initiative involved academic experts revisiting existing case law, drawn from a range of legal sub-disciplines and jurisdictions, and redrafting the judgment from a children's rights perspective. 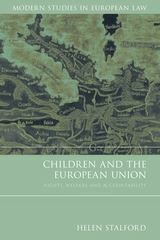 The rewritten judgments shed light on the conceptual and practical challenges of securing children's rights within judicial decision-making and explore how developments in theory and practice can inform and (re-)invigorate the legal protection of children's rights. 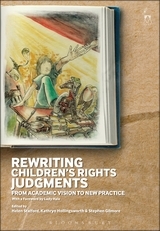 Collectively, the judgments point to five key factors that support a children's rights-based approach to judgment writing. These include: using children's rights law and principles; drawing on academic insights and evidence; endorsing child friendly procedures; adopting a children's rights focused narrative; and using child-friendly language. 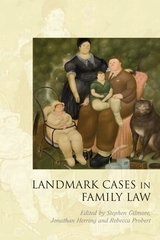 Each judgment is accompanied by a commentary explaining the historical and legal context of the original case and the rationale underpinning the revised judgment including the particular children's rights perspective adopted; the extent to which it addresses the children's rights deficiencies evident in the original judgment; and the potential impact the alternative version might have had on law, policy or practice. Presented thematically, with contributions from leading scholars in the field, this innovative collection offers a truly new and unique perspective on children's rights. Kathryn Hollingsworth is Professor of Law at Newcastle Law School. Stephen Gilmore is Professor of Family Law at King's College London.